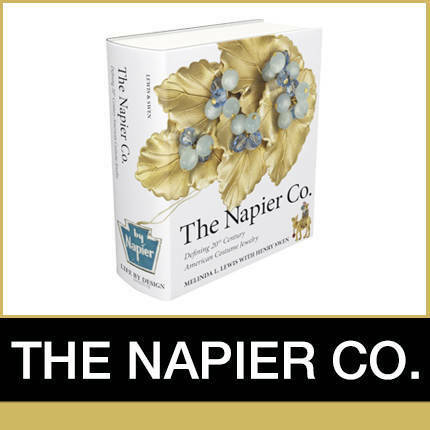 In 1931, Ciner began manufacturing high-end costume jewelry following the tradition of its previous product lines. In 1946, the Ciner Manufacturing Company began its first efforts to advertise on a National level, giving the company exposure through popular fashion magazines such as Vogue. On February 8th, 1958 Emanuel Ciner died, and the company’s fine tradition of jewelry manufacturing continued by his sons and granddaughter. In 1978, Pat Ciner Hill along with her husband, David Hill, took over the family business and turned it into a multi-million-dollar success. In 1984, the Hill’s daughter Jean Hill joined the family business. By 1992, this small family-run business generated 7 million dollars in sales. In 2000, the company revisited some aspects of fine jewelry manufacturing and introduced a line made from semi-precious stones. The company showed this line for the first time in Dallas featuring multi-strand semi-precious torsades and bracelets. According to Pat Ciner, the color fashion styles of the 1990s were better reflected by the use of natural stones. As manufactured in 1892, the jewelry remains hand-made. The company uses the finest of Austrian crystals, Japanese glass faux pearls, and 18k plating. Employees perform all aspects of the manufacturing including detailed enameling and stone-setting. The business will celebrate its 125 years later this Fall with both the 3rd and 4th generation family members involved in the family business. Vintage Ciner costume jewelry is highly collectible and coveted by collectors and lovers of fine fashion jewelry. To learn more about CJCI honoring Ciner with its 2017 prestigious achievement award, please click here.